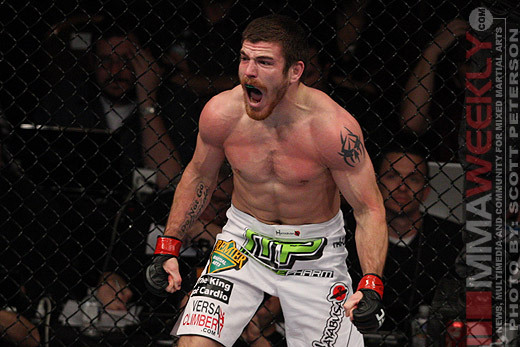 Jim Miller is ready to return to action and he will get the chance to fight in his home state of New Jersey when he does. He is set to face former WEC lightweight Kamal Shalorus at UFC 128 on March 19. 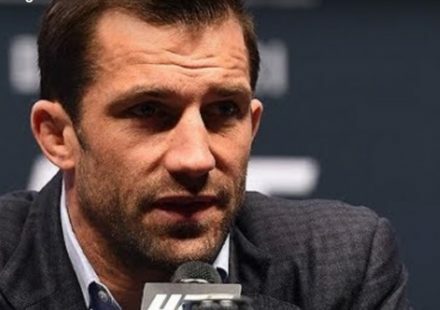 The fight was confirmed to MMAWeekly.com by sources close to the match-up on Wednesday, with verbal agreements in place. Miller (19-2) has been asking the UFC for a Top 10 opponent time and time again for his next fight, but he won’t get his wish just yet. He will, however, get the chance to fight in his home state with all of New Jersey rooting for him. The AMA Fight Club fighter has won his last six fights in a row including a first round submission over Charles Oliveira at UFC 124 earlier this month. Miller has been making his way higher and higher in the division, and will look to keep his streak alive when he returns in March. Facing Miller in his home state will be former WEC fighter Kamal Shalorus (7-0-2), who will be making his UFC debut. Shalorus closed the door on his WEC career with a win over Bart Palaszewski at WEC 53 in December, and now faces an extremely tough test for his first UFC fight. A powerful wrestler with heavy hands, Shalorus went undefeated during his time with the WEC and will hope to duplicate that success in the UFC. The bout between Miller and Shalorus will take place at UFC 128 in New Jersey. While the card has yet to be officially announced by the promotion, the main event is expected to be Mauricio “Shogun” Rua defending his UFC light heavyweight title against Rashad Evans.